Join the biggest culinary event of the year! The Philippines plays host to one of the largest and most anticipated culinary events in the world---Madrid Fusión Manila. This April 24-26, Manila will be a global hotspot for learning about the future of cuisine as chefs from Spain, Asia, and the Philippines converge at the SMX Convention Center in Pasay City to share insights about food. Professionals will also share the latest and greatest techniques to hit the global culinary scene. And to get you excited for Madrid Fusión Manila, we've listed down some reasons why you should come and join this momentous event. 1. It's the biggest thing to hit Philippine cuisine. 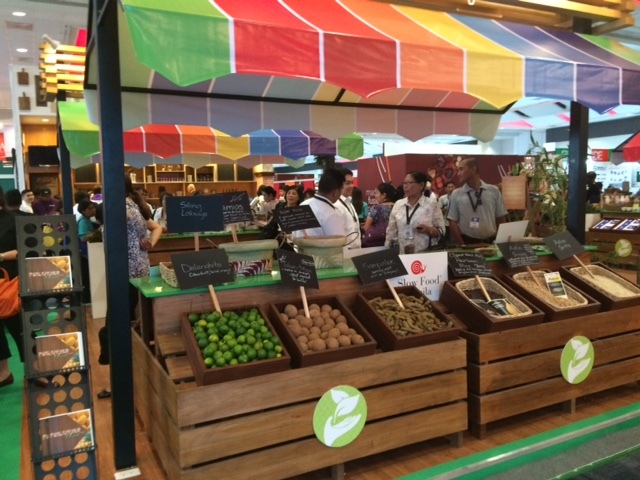 Madrid Fusión Manila promises to be the largest culinary event in this part of the world. With chefs coming from all around the world to witness some of the most notable culinarians, this is surely an event to watch out for. Add to that the prospect of seeing and tasting some of the finest ingredients from Spain and the Philippines, you'll truly have a memorable experience that will last you a lifetime. Michelin Stars, Repsol Suns, restaurants and chefs of the year, name the award and we'll bet you that our speakers have it! Only in Madrid Fusió n Manila, will you see the biggest names in Spanish and Asian modern cuisine stand on one stage together with some of our country's best. Get ready to watch the likes of Elena Arzak, Andoni Luis Aduriz, Alvin Leung, Myrna Segismundo, and Chele Gonzalez, just to name a few, take the stage and share their knowledge about modern gastronomy. 3. Learn the best techniques from the best chefs. See and experience first hand some of the most groundbreaking culinary techniques that are redefining the world of food. Learn from the masters who have sparked this gastronomical revolution and experience a new take on food. Craving for some cured meats and sparkling wines from Spain or looking for a source of the best heirloom rice in the country? Then look no further because all of the best products from Spain and the Philippines will be found only in the Madrid Fusión Manila Trade Exhibition that will take place simultaneously with the Gastronomy Congress. During the event, not only will you learn from the speakers, but you may also network and get to know other delegates. Delegates will be coming from more than 13 countries so you can expect to learn new things from them while building your professional network. 6. Treat your taste buds to the Food and Wine Tunnels. Experience the best Spanish wines, and the most delectable ingredients through the Tastings & Seminars and Tunnels & Presentations found inside the Trade Exhibit. From olive oils to Spanish and Philippines cheeses, cured meats, heirloom rice dishes, Philippine liquors and Spanish wines, you can look forward to multisensory experiences that will surely fill you with awe and leave you asking for more! 7. Get to know why dining is definitely more fun in the Philippines. During the event, the best Philippine produce and the most brilliant Filipino culinary talent will be in full display. Aside from this, for the entire month of April, several culinary events will unfold across the archipelago that truly banner the Flavors of the Philippines. 8. Taste the exquisite flavors of Luzon, Visayas, and Mindanao. As a delegate you will have the opportunity to taste the best dishes from Luzon, Visayas, and Mindanao. Curated and prepared by some of the most important names in Filipino cuisine, the regional lunches, which will be served during the three day congress, will be a virtual culinary tour of our archipelago. Madrid Fusión Manila is undoubtedly an important event for the Philippines, that's why the keepsake that will be received by the delegates will just be as important. Each congress delegate will get a souvenir book designed by notable Filipino photographer Neal Oshima. Inside are original recipes crafted by the multi-awarded Spanish, Asian, and Filipino chefs. 10. Elevate Filipino cuisine to the world stage. This month, we will be the center of modern cuisine here in Asia. This is a chance for us to build awareness about our distinct flavors and how it can be the next star of the global culinary stage. Madrid Fusión Manila allows us to show what we got as a country and as a culture. It is a chance for us to banner our talent and our food to the whole wide world. In April 2015, as part of the "Visit the Philippines Year 2015" festivities, the eyes of the entire world will focus on Manila with the staging of Madrid Fusión Manila. This global event is envisioned to showcase an encounter between Spanish and Filipino chefs to celebrate over 300 years of shared history. Highlighting the Philippines as a culinary center of excellence in Asia, Madrid Fusión Manila presents a unique opportunity for chefs, food aficionados, and food and beverage company professionals to come together, learn new things and share their talent, expertise, as well as products to the market.